Canada’s No Fly List is officially known as the Passenger Protect Program (PPP). It is a highly secretive passenger-screening program that came into force on June 18, 2007, and was modified in 2015 with the adoption of the Secure Air Travel Act through Bill C-51. The stated goal of the program is to both prevent terrorism activity on flights, as well as prevent individuals from traveling to participate in a terrorist activity. Its efficiency and necessity have never been demonstrated. The serious questions of lack of due process, infringement on Charter-protected mobility rights, racial profiling and undue hardships, combined with the complete lack of data from the government regarding the effectiveness of the No Fly List program leaves us no other choice but to conclude that the system should be completely repealed. If a person is a threat to the safety of others, the government should act using existing criminal code procedures that follow due process. For all these reasons, the ICLMG is calling for the complete repeal of the No Fly List program. How does the No Fly List work? Before this change, individuals were placed on the list by an advisory group consisting of high-level officials from the RCMP, CSIS, CBSA and Transport Canada if they posed an “an immediate threat to aviation security”. This was already problematic. Bill C-51 and the SATA both expanded the reasons you can be listed, and placed decision-making power in one Minister’s hands. To comply with the No Fly List, air carriers are required to screen all passengers who appear to be 18 years of age or older before issuing them a boarding pass. If an individual’s name matches that of someone on the list, the airline employee must call Public Safety Canada to ascertain whether the person is allowed to board their flight. In the case that the traveler in question is indeed the person listed, the Public Safety official can either approve the person boarding the flight, or disallow them from flying. The airline employee is not allowed to inform the traveler that they are on the No Fly List. If they are allowed to fly, they continue on after the delay. If they are not allowed to fly, they are simply told they are not allowed to board the flight. The traveler will receive a letter from Public Safety informing them that they were stopped from flying because they are on the No Fly List; however there is no set timeframe on when that letter will be issued. At that point, the person on the list may challenge their listing by asking the Minister to be removed from the list. If the Minister does not respond in 90 days, the traveler is deemed to still be on the list. They may then apply to a court for review. However, they will not have access to the information used against them to place them on the list – at most they may receive a summary of some of the information – meaning it is impossible to mount a full defense. In some situations an individual may be a false positive: their name is the same or similar to that of a person on the list, but they are not that person. In such a case, after a delay, they will be allowed to either board their flight, or to board a later flight. While some may see this as only an “inconvenience,” it has a serious impact on those caught up. For parents with children whose names appear on the list, this can result in delays, questioning, embarrassment, stress and worries regarding the future safety of their kids if their names remain on the list into adulthood. For adults, it can mean significant delays, intensive secondary questioning by airport security, impacts on work because of difficulties traveling, problems returning to Canada, and even worries of arrest by foreign authorities because they are viewed as possible terrorists. There is currently no federal redress system that allows for people who are known false positives to avoid being flagged when traveling in the future (for more, see the section on False Positives, below). However, the federal government announced that they will be setting aside $81.4 million dollars in funding over 5 years to develop a centralized screening model and establish a redress system.3 While this is a step in the right direction, it is unclear what the new system will look like, and Public Safety Minister Ralph Goodale has estimated that it will take three years for the system to be fully implemented. While the ICLMG supports the call for such a redress system in the short term, ultimately we need to end the No Fly List program as it violates due process and unfairly targets Muslims and people of colour. While aviation security has always been a priority for governments and airlines, the terrorist events of September 11, 2001 were the catalyst for heightened aviation security measures around the world. Canada was no exception. In a direct response to the alleged need for greater airport security post-9/11, the Aeronautics Act, as amended in 2004, lays out the framework for the Passenger Protect Program (PPP). Transport Canada’s declared goal when the PPP was introduced was to improve aviation security by reducing the threat of terrorism and other criminal acts on flights to, from and within Canada. “Aviation Security” under the Aeronautics Act also applies to aircraft, airports, aviation facilities, and the safety of the public, passengers and crew-members. Part two of the Conservative government’s Anti-Terrorism Act, 2015 (more commonly known as Bill C-51) comprised the Secure Air Travel Act (SATA), which formalized the rules for the operation of Canada’s No Fly List. SATA was introduced in Bill C-51 in order to codify the way people are put on the Canadian no-fly list, and the process to remove one’s name from the list.4 SATA also decreased the frequency at which the list has to be reviewed, to every 90 days. Previously, the Minister or their delegate reviewed decisions every 30 days, and Transport Canada provided an updated list to airlines every 30 days as well. It is also important to note that SATA changed the No Fly List rules to allow the list to include individuals who may be traveling by air to commit certain terrorism offences. Under Bill C-51, the system continues to be shrouded in secrecy, as the bill codified the existing practice of refusing to disclose to the individual whether he or she is a listed person. Bill C-59, introduced in June 2017, has been described by some as the “biggest overhaul in Canadian national security since the creation of the Canadian Security and Intelligence Service (CSIS) in 1984.”5 While the bill proposes some tweaks to SATA, it falls far short of fixing it. The technical changes that Bill C-59 introduces would not eliminate the problem of false positives (people with the same name as someone on the list who are wrongly delayed at airports). The No Fly List Kids campaign and others have been pushing for amendments, and for money to be allocated in the federal budget, to address this issue. The government has stated that changes in Bill C-59 will set up the legal tools to create an administrative solution. As mentioned above, it is estimated that a new redress system will take three years to implement (by 2021). Under the legislation, parents will be allowed to be told if their child is not on the list, which is a step in the right direction but does nothing for adults who are false positives, and does not create a permanent redress system. The application for the de-listing process would also change. The current law states that in the case of an individual requesting to be removed from the list, the Minister has 90 days to respond. If the Minister does not respond,6 the Minister is deemed to have refused to remove that person. Bill C-59 would allow the Minister 120 days to respond, and if the Minister does not respond, the individual is deemed to have been removed from the list. As of publication, Bill C-59 has now moved on to the Senate. Another notable concern with the Passenger Protect Program is the issue of false positives: people who are mistaken for someone who is listed on the No Fly List. First, despite Public Safety Minister Ralph Goodale emphasizing in 2017 that airlines were to refrain from screening children under the age of 18, Canadian airlines continued to do so. Children as young as just a few months old have been screened. This has resulted in delays, questioning, embarrassment, stress and worry for parents with regards to the future safety of their kids if their names remain on the list into adulthood. Second, the consequences for adults flagged as false positives can be more serious, as it is not as readily apparent that they (unlike a three year old) are not the listed individual. This can result in unwanted questioning, significant delays, difficulties returning to Canada when traveling, and even being viewed by foreign authorities as a potential terrorist. Many travellers have reported that worry starts to set in when they are unable to print their boarding passes at home or at self-serve kiosks that travellers are encouraged to use. They then turn to the airline staff at the regular check-in counters, who tell passengers to wait while their tickets and identification documents are verified. Oftentimes this process consists of multiple calls to various supervisors while the traveler is singled out in a line of other travelers, and there is a wait time of upwards of 90 minutes in some instances. Many of the travellers who have been delayed in this manner are members of Muslim or Middle Eastern communities. Others have very common names, but since the No Fly List is compiled strictly according to the sound and spelling of an individual’s name, many passengers may be flagged because their name is the same, or resembles that of someone who is in fact on the list.7 Some of the individuals who have encountered problems while trying to check-in have been told to “change your name” in order to avoid similar delays in the future.8 Others have been encouraged to join airline loyalty programs to facilitate and/or accelerate boarding procedures.9 A number of passengers have missed flights and were denied compensation. The Canadian government will not disclose how many people are on the Canadian No-Fly List. The last time the government gave an approximation was in 2007, when an official placed the number at “around 2,000.”10 The federal government has never provided Canadians with an exact figure, citing security concerns without elaborating. Names of people who have been flagged as false positives range from Adam Ahmed, Shawna Miller, Shahid Mahmood and Bill Graham, to David Smith, Naseer Ali and Dave Matthews. Recent research conducted by students at the University of Western Ontario demonstrated that as many as 100,000 Canadians could possibly be falsely flagged on the No Fly List simply because of the number of people with the same names.11 As the No Fly List Kids have pointed out, this is larger than the population of many Canadian cities. The ICLMG has long called for a centralized redress system to address false positives. The funding that was announced in the federal budget is a welcome and positive development, and opens the door to the issue of false positives finally being resolved (as work continues to repeal the No Fly List as a whole). Even if the No Fly List does have unknown positive effects on security, the fact remains that the system suffers from many procedural deficiencies and violates due process. For example, the Passenger Protect Program is shrouded in secrecy. Within this system, travelers have no concrete way of knowing before arriving to the airport whether they are on the No Fly List or not, and the reasons for which they were placed on the list are largely kept secret. In fact, it is illegal to disclose whether or not an individual is on the list, which creates a situation where airlines cannot confirm or deny listings, even to the person affected, and the government can only do so once a person has already been stopped from traveling. Travelers who are subjected to repeated additional security screenings are left guessing if this is simply bad luck or a result of their name being on the list. 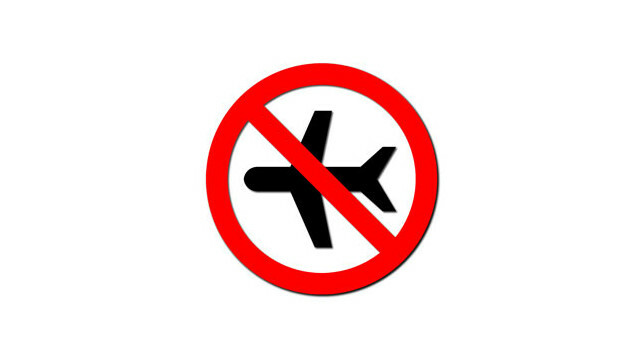 Those who find themselves on the No Fly List have little recourse under the law to remove their names from the list. Individuals whose name appears on the list can apply to have it removed, but only if they have been denied transportation and have received a letter from the government confirming they are on the list. Simply experiencing frequent delays and extra security screening in airports is not enough. An individual must apply within 60 days of being denied transportation in order to request that their name be removed from the SATA list. The application for removal is made through the Passenger Protect Recourse Office. The process involved in having one’s name removed from the no-fly list violates constitutional rights under the Canadian Charter of Rights and Freedoms. These include the right to be treated equally under the law, mobility rights and the right to due process. The process is not transparent, and rather than the government having to prove that an individual should be placed on the list, it is up to the individual to provide evidence that he or she should be removed from the list. Because individuals are not told why they have been placed on the list in the first place, it will be extremely difficult for them to determine which evidence, and how much evidence will be sufficient. Despite minor changes to the appeals process, Bill C-59 will not solve this problem. Ultimately, the No Fly List must be repealed. Following the 9/11 attacks in the United States, the number of people listed on no fly lists grew exponentially. Prior to 9/11, there were 16 names in the FBI’s Terrorist Screening Database, which is a collection of lists that were created under the Bush administration. There are currently approximately one million names in the Terrorist Screening Database.15 According to the U.S. Justice Department’s office of the Inspector General, the database is far too broad, and has an error rate of approximately 35%.16 Canadian airlines, most notably Air Canada, have continued to check the names of their passengers against the Terrorist Screening Database, even after the Passenger Protect Program came into force on June 18, 2007. ICLMG continues to denounce the use of U.S. lists in Canada — sometimes even for domestic flights or flights that do not enter the U.S. airspace — and calls on the Canadian government to put an end to this practice. This issue paper was written by Amelia Jarvis. The Secure Air Travel Act, 2015.